Global warming has killed the finest violin music | Watts Up With That? From Wikipedia: A Stradivarius is a stringed instrument built by members of the Stradivari family, particularly Antonio Stradivari. According to their reputation, the quality of their sound has defied attempts to explain or reproduce, though this belief is controversial. What set my teeth on edge last week was not the chilly weather, though Wednesday was the coldest March 11 on record. It was a University of B.C. professor’s claim that global warming is largely responsible for the fact folks can no longer make the heavenly-sounding violins they used to hundreds of years ago. Not that I should be surprised: Global warming gets fingered for virtually everything these days, especially at our eco-infatuated universities. For these grant-hungry institutions, the fashionable notion that humans are mainly to blame for warming the planet is a godsend. It opens up so many fields of study where taxpayer funding can be justified on the grounds of saving Mother Earth and everything on it, including fabulous old fiddles, from climactic Armageddon. And there’s a chance she’s right. Certainly, in 2003, a New York climatologist and a Tennessee tree-ring dating expert claimed that a mini ice age in Europe at the time master instrument-maker Antonio Stradivari was producing violins may have affected the density of the wood he was using — and hence enhanced the instruments’ tone quality. It was a theory supported last year by Dutch researchers. But it was far from conclusive. My point here is that the scientific debate over the violins made in Cremona, Italy, during a 70-year period of global cooling is far from over. It’s as unsettled as that over climate change today. Our universities should be keeping an open and inquiring mind about both — at least if they’re interested in higher learning, as they claim to be. Instead, they simply seem intent on cheerleading for the green team, pushing eco-propaganda. And that shortchanges us all. March 16, 2009 in Climate_change, Ridiculae. I remember reading a recent article that says the ‘density’ theory was not why the Stradivarius was better. It had to do with the resins and type of varnish used. Can’t recall from where, but I do remember it. The ‘density’ theory came out a few years ago and the new work is very recent, which may explain why the esteemed Professor is still espousing the ‘density’ theory to explain the Strad. That and Stradivarius made his violins in the depth of the ‘Little Ice Age’, and the warming experienced thereafter is not due to ‘Global Warming’ as currently defined. Delete after seeing this … I won’t be offended. Maybe they just aren’t using the right stain anymore, or perhaps people are too consumed with mindless nonsense to build world class violins. Yes — and climate change will also lead to outbreaks of head lice, killer mold in houses, and will cause your hair to fall out. All may not be lost. We may be headed for another era of dense-growth trees if the cooling continues. “Climate change may usher in era of runaway musical beauty!” Interesting article if read without guilt of “man-made” global warming injected. I hereby start a new activists group called Save the Violins! We can organise a coalition of well off guilt-ridden young people quite easily and use them to throw rocks at working class miners to force the shut down of coal-fired plants in Croatia and Italy. That will be step one towards saving the violins. While that is going on I’ll bribe a few politicos to ensure I get the contracts to install solar panels throughout the regions where maple wood is harvested for violins. One business is not enough though. We can add more sectors to our Green portfolio. I suggest we also get our young eco-activists to break into the factories of Italian super-car makers and cause massive damage. A few bribes to Berlusconi and a few other mafiosos should ensure that our investment in electric sports cars will pay off nicely once all the carbon criminals at Ferrari and Lamborghini are chased out of the business. This Green technology business is good, but it can only be ultra-profitable with a bit of activism, subversion and industrial sabotage. Global cooling created it and killed millions, I wonder which is better, music or death? The cool weather/density hypothesis doesn’t have much going for it, as the same density profiles can be produced in other ways. Such as drought or not thinning a stand of trees. Antonio Stradivarius was a good fiddle maker and he probably cornered the market as regards suitable trees. How many trees would he have used to make only 1,101 instruments in all, by current estimates? That’s the reality, not some clown harping on about density of wood 300 years ago. What are we talking about here? A forest or 20-30 trees? A distant relative of mine builds harpsichords. Not many in total and he was given a felled tree of pearwood for certain key components. That one tree will see him out in all probability. A special tree no doubt, but will someone in 300 years to to guess our present global temperatures from a harpsichord? I bleeding well hope not. As in all things, numbers matter. Years ago when I lived in Honolulu, a friend there own a Stradivarius. He would leave it sitting out on an end table in the living room (He said the best secuirty was to keep it in plain sight). He felt the warm moist tropical air made it sound better. I must admit it sounded delightful. I wonder if Ms Choi would prefer that we returned to the temps of the Little Ice Age? Maybe she should pop over to Edmonton and check out the weather. Well, after all, it’s been apparent for quite some time that the oso progressive AGW Garden of Eden is cold, not warm, and that the original beings were indeed Polar Bears – who played violins. Despite many attempts, no empirical process is able to distinguish the music of a Stradivarius from other violins of the highest quality (both modern and ancient). It should hardly be surprising that somebody who devotes so much time and energy to a fundamentally unverifiable phenomenon, would also draw a link to global warming. It seems to me there ought to be other sources of dense spruce. Heck, some spruce near treeline in New Hampshire’s White Mountains are a century old and only a few inches in diameter. One claim about Stradavari was that the logs were floated down a river, and that was one source of the mineralization. We’re not allowed to have log drives any more, too dangerous, messy, etc. There are some suggestions that the violin makers also engaged in misinformation about their techniques, so pretty much any claim needs to be approached with skepticism. Not knowing much about violins, I’m curious if the quality of a Stadavarius was matched or approached before or shortly after that 70 year period? The real question is when was the tree living, a few generations before Stradivarius at least. Perhaps he had access to some fine old logs harvested long before. How wood is dried has a big effect on the final product. Even kiln-dried wood has to sit for a minimum of three years, in a dry climate, to get the cell walls to collapse so that the wood cannot ‘re-inflate’ with moisture. This permanently changes the wood. Since tree rings are more indicative of water availability than warmth, one might want a tree that just barely has enough water to survive. I have heard of the theories regarding wood, resin, varnish, etc. No one really knows as far as I can tell, and the answer is probably some combination. Sounds like the climate situation. It’s not how much we know, rather how little. From a woodworker and violin player, amoung other things. For the music she’s playing, a Romantic era violin would be more appropriate, or at least a Quercetani reconstruct. It’s counterintuitive to play Sibelius and Brahms with a Strad, unless the one she has has been reworked (::cringe::) to be louder… Wonder what bow she’s using. Strange woman, obviously very talented, but her if p then q circuit seems a bit iffy. There’s an article, January 7, 2004, at news.nationalgeographic.com about wood density, etc. I didn’t know as much about Maunder when I read first read the article five years ago. Thanks, Anthony, for adding to my education. “Sunken logs” retrieved from a century’s stay in the Great Lakes are very popular for instrument making because of their density. There’s also the concept that playing a fine instrument for 300 years changes the quality of tone. I saw this canard in the news a few weeks ago and struggled to think of what underlying assumption could lead from global changes in climate to changes in hand selected trees. Back in the day violin makers would find the best tree even if it meant climbing a little higher up the hill, or even going north a few miles. The best assumption I came up with is that today’s violin makers must just go to Lowes and buy some global average wood and try to make Stradivarius quality instruments. That story is more consistent with deliberate alarmism than bad logic. The thing is that Stradivarius most probably not has build violins from wood that has grown in the Mauder minimum, because the log would have been on stock to dry for about a decade, he would not have used the outer rings of the spruce (about 25 to 50 years) an the log would have come from an tree that was 150 to 200 years old. And for a cello the tree should be 400 to 500 years old… so much for the Mauder minimum in violin building that would meen the trees had grown form 1450 to 1650. Then again… a virtuoso violinist is going to pick up a Strad at any opportunity and make beautiful music, whereas he/she will not do the same with the $45 violin in the school section of the music store, whereas the beginner is likely not going to have access to a Strad to play. Thus, logically, Strad’s all sound great because only an accomplished violinist is ever going to play one. If the secret is in the wood, shouldn’t contemporaries of Stradivarius have made instruments just as good? Well it’s another urban legend situation. The main thing that these 300 year old violins have going for them is that they are 300 years old. Who says they sounded that great 300 years ago. One of my fishing friends, happens to be one of the two top violin/string Instruments experts on the West coast of the United States. Only one other person on the East Coast knows more about fine violins, than he does. He has a large collection of fine instruments, including a very fine (and stunningly beautiful) Stradivarius Cello; he has string basses from those old masters. His violin bow collection contains bows that cost more than some violins. I think most experts consider the violins of Amati to be better than any Strad. There are some modern violin makers who can make perfectly fine sounding violins. Same goes for other fine instruments like Pianos. Yamaha, can make a piano that is as fine sounding asw any Steinway, or any other famousw make you want to name; and what’s more they can make as many of them as anybody wants to buy. This violin chap once had one of these top Yamahas in his store; he didn’t typically deal too much in fine pianos; and it sat there for quite a while as he tried to figure out who he was going to let buy the thing. You can buy an excellent Yamah piano for a lot less money than this model (I almost did); but if you want the best and are willing to pay (not unreasonable price) you can get one that is as good as any piano ever made. Hey this chap takes in fine violins for “maintenance”, and that might mean taking the whole thing apart, including taking the top and bottom timbers off; and after he repairs cracks or some other blemish; well he simply puts them back together and readjusts them. Fine violins are not gifts from the gods; modern builders can do very well making excellent sounding violins. But of course if you have one of the old masters; why would you not talk it up; after all only the creme de la creme of violinists should be aloud to play a fine Amati or Stradivari violin; so if you have one; ergo you must be a fine violinist and command more money for performing. Best violinist I ever heard was David Oistrakh (Russian guy) maybe it was Igor; they were father and son and I forget which is which but it was the father. No stage calisthenics; he just looked down at the audience with a look that said “screw all of you, I’m just going to play my violin”; and he did so effortlessly. So maybe in another 300 years all those Strads will have dry rot, and sound like Oscar’s trash can lid, while the 20th century violins will be dreamboats. Hey the violin I played in High school was a Strad; said so right on the label inside it; but I was no David Oistrakh, so it sounded like Oscar’s trash can lid. So that’s it! when my hair fell out Lice became an endangered speices! During the next “Jose’s” minimum there will appear a new breed of Stradivarius. Global climate change is causing my receding hairline! Why doesn’t anybody do something!?! Now! Stop CO2 before I loose the rest of my hair! Please?! She’s obviously a gifted musician, but, like a lot of these celebrity types stumping for, and spouting on about AGW, she is essentially clueless, and should just shut up. What she doesn’t get is that, even if what she says is true – that the reason we can no longer make stradivari-quality violins is due to the wood density being lower now (arguable, because there are many factors that can affect a violin’s quality), so what? Is she trying to claim that man is responsible entirely for the warming since then? Does she even know, or care about the MWP? I doubt it. Finding good wood suitable for building guitars is also pretty tough to do these days. Fender and Gibson cannot build the quality of instrements they produced in the 1950’s thru the early 1970’s because that quality of wood does not exist any more. One piece Alder bodies, single piece mahogany bodies, ebony fretboards and Brazilian Rosewood are nearly impossible to obtain as the old growth forests have been harvested for these woods. Even the cheapest guitars made in the 1960’s were made from solid wood. Today the overwhelming majority of guitars are made of plywood. I’m doubtful you could make a violin sound good out of wood chips and glue. Instead, they [“our universities”] simply seem intent on cheerleading for the green team, pushing eco-propaganda. Who would have ever guessed that Demonizing and Witch Hunting would come to be actual Majors in Universities, much less “Science”? Meet the new pre-Enlightenment, same as the old pre-Enlightenment. Related note: once I saw Milton Freidman on tv give his simple definition of a “Communist”: ~ “A Communist is someone who when confronted with a problem blames someone[else].” But it took me quite a long time to realize what he was saying so simply. Who’d-a-thunk this mentality would ever become so rampant again? Supporting what Jason said, here is the Wikipedia entry, complete with appropriate references: http://en.wikipedia.org/wiki/Stradivarius#Objective_comparisons. I think trees grow farther north in Europe where temps might resemble those of the LIA. I fail to see a problem here. Besides, I think Jason(09:07:26) is correct. A serious problem though is the sourcing of wood for the bows, namely pernambuco wood from Brazil. OT, from the other end of Canada…. The Bay of Fundy starts just outside my front door, trust me it has not changed much over the years. The 2 areas mentioned in the article, Truro and Advocate are both built on floodplains, as are many other areas of the province and behind dykes that vary in age, but some have got to be pretty old. Here is a great link to Truro’s problems (notice the .gc.ca web link, yup that’s our own government at work), it’s had some winners in the past, look about 1/2 way down the page for the “The Saxby Gale of 1869”. If it gets one again, could be real bad. Advocate, has a real problem, but it’s rather recent. They had a bad storm come through last December and took out part of the seawall, which blocked major wave action from reaching the dikes, this should be fixed as soon as possible. Already wrote my Member of Parliament, this type of scare tactic has got to stop. Yes it’s dangerous to live on a floodplain. Yes the tides are quite high. And Yes, we’ve been here now for about, oh say as long as people have been in New Orleans, not that there are any other parallels between them. Cudos to John Ferry and The Province for “allowing” him to write a reasoned, responsible piece about this. The Canadian public are bombarded with all manner of “assumptions” about “climate”, chief of which is that everything is linked to anthropomorphic “climate change”, and especially in certain quarters of politics, in the press, and in advertising. “Green” is tied to everything, along with “carbon footprint,” and when I encounter acquaintances and the topic arises, first I challenge them to define “green” and “carbon footprint”, ask them what they know about how “world temperature” is measured, and go from there. And by the way, Ms. Choi and any others who don’t know the facts, the polar bear population is in great shape, as it has been for over 200,000 years. Did you know that this species was brown at one time? Maybe it will be again. Imagine that! And thanks to WUWT for providing information and links to valid research that has given me so many answers that I’ve been looking for! “If we’re going to tackle something like climate change, you really have to speak to both peoples’ hearts and minds,” Choi says. And with any luck, she’ll change the minds of both of them. Maybe the key was a century of growth in warmer temperatures and then progressive cooling of the mature but still growing tree into the Little Ice Age? If so, then planting trees now should be the way to go to make new vintages in 2300 – 2500? Bill, I remember reading a similar article from the ISA about recent research regarding Stradivarious violins and their tonal qualities. It was suggested by the researcher that it was the interaction of Stradivarious’ varnish and the wood preservative. Apparently, insects were a problem even in the good ol days and they used a wood preservative that protected against moisture/rot and insects as well. Seems like there was some heavy Arsenic and Lead presence. The guy examined an actual sample of a piece of an actual violin that needed repair. I’ll look back and see if I can find the article. There is never a shortage of morons with nostalgia to the old, low-tech way of doing things. Nowadays, carbon fiber reinforced violins are commodity. Indeed, only a fool can actually compare things created at the time people were riding mules to modern technology. Sure they didn’t have oscilloscopes to visualize the sound produced by the instrument, no CAD to model instrument prototype without actually having to build one, no chemistry to produce variety advanced materials, and so on. The Growth rate == dense wood line of thought is completely bogus. I build mandolins and I can tell you that tree ring density (and by extension growth rate) has very little to do with wood density. I’ve seen trees with 5 grains per inch (very fast growing) that were some of the most dense wood I’ve ever seen, and 32gpi boards that are floppy like cardboard with terrible dampening characteristics. You can get wood with very similar characteristics today as you could have 3-400 years ago. The age of the wood has more to do with the sound in my opinion, in that the resins in the wood have time to really cure up. As for finish being the ‘magic’ in a strad, most strads have none of their original varnish on them, and they’ve been had the finish worn off/refinished/played/refinished multiple times. Also I’ve never seen a double blind test where anyone has every show that a strad was any better than any other very good violin. Bottom line is, Antonio Stradivari was a HECK of a builder. Thats all there is to it. An instrument sounding exceptional has more to do with the one building it than the materials it is built out of. I like the part where it says you shouldn’t buy food that has travelled half the world, only buy local farm produce instead. So we have to stop trade partnerships that keep millions of farmers in developing countries employed. Do these people really go to farmer’s markets and not realize that most of the produce there would not be available had they not been imported from far across the world many years ago? I have read The Province and it, like all MSM is under constant pressure to tow party lines. They are still fearful of reporting government corruption and opposing points of view . But they did print this which is a small step forward. What any in MSM have yet to acknowledge is how unnecessary AGW campaign is to meet green goals. There are plenty of non-climate related reasons, (conflict, real pollution, oil addiction, export of dollars, security) to transition to domestic energy sources. But the press has so bamboozled itself it seems incapable of digging a way out. And now they look on dazedly as their best demographics head for the internet. There is a way to save face however. By morphing the climate message to Energy Independence, they can let go of the failed AGW component and continue with the energy issues. The results will be beneficial for all but those who thought they could “end of western civilization.” In the absence of adopting this tact, the AGW crowd, MSM, politicos, and toadies will all look like the hated Nazi “collaborators” of WW2. sorry, previous was meant for the Province thread. Wood density varies significantly, sometimes hugely within a single stand and even within an individual tree. The notion that trees are machines sensitive to global temperature changes of a couple of degrees is such absolute poppycock. It demonstrates utter ignorance about the way the real world works. Conifers have been around for 200 million years plus. They have seen it all and survived it all. Jumping Jiminey! And this person is an educator??? The masses are getting stupider by the minute. Makes sense to me. Especially since leaving a fine instrument unplayed for even a couple of weeks makes a difference. Which is why I was given possession of a Strad viola for a few glorious weeks because my teacher was going to be occupied elsewhere. I was almost afraid to touch it, but that didn’t last long. I would sure like to see a reference for this statement, as I don’t think it’s true. Not bogus at all. It depends upon the wood species. For softwood (gymnosperms), higher density is normally associated with slow growth rate, since most of the growth rings will be comprised of very dense latewood and little of the much lower density springwood. However, with ring porous hardwoods (angiosperms), like oaks, the faster growing trees have higher densities, since less of the volume is occupied by the large pores formed in the spring time. There is a way to save face however. By morphing the climate message to Energy Independence, they can let go of the failed AGW component and continue with the energy issues. I have been saying this for ages but how do politicians turn their backs against the radicalism they helped foster among Green groups without it biting them in the back? It’s not possible. If you shut the Greens out now they’ll feel like the politicians dumped them, then their Direct Action will be transform from activism to terrorism. This is how al-Qaeda formed. We gave the Muslim fights all the support they needed, fostered Islamism to counter the Soviets (who were doing the same) and then dumped them when they were no longer useful. Our political elite have a lot to answer for creating this mess – this religious mania (Green and Islamist) which is used as a tool. How dare someone like Ed Milliband encourage young naive activists by telling them they should take Direct Action campaigns to foreign countries to cripple their economies when we have already sent the likes of Abu Hamza to prison for encouraging young Muslims to do the same thing? When we condemn these internet Alarmists we must not forget that they did not invent global warming hysteria. They are brainwashed pawns and we should embrace them, show them how they were manipulated by short sighted irresponsible politicians who pay lip service to every damn thing in sight which confuses and divides society even more. you know, there’s no reason to knock the violin along with the violinist here. It’s one thing to say she’s wrong in her view about climate change, another thing to say in essence that Strads are really nothing special. I assume you’re being facetious, but just in case you’re not, unfortunately most listeners probably couldn’t tell the difference either way. Every violin sounds different from every other violin. Even two Strads don’t sound the same. But play simple scales or something on one then another then another and even a mostly untrained ear can actually hear a difference. Didn’t you notice that in good old days computers didn’t have coolers over processors? It was certainly colder then. I go to one of those eco-propaganda pushing BC universities and my education is definitely affected by it. I met a violin maker, forget his name, he gravitated to Ampleforth Yorkshire when I lost contact. He could make violins as good as Strads because he’d figured out what was significant. I think the exact dimensions of the interior sound space was the most important factor. He understood the importance of esoteric maths – the harmonies of fine geometrical proportions – that as C E Smith has mentioned, are not being taught. Yet they are of fundamental importance not only to violins’ sounds, but also to the creation of beauty. The Parthenon is replete with them. And as the utterly incredible Little Book of Coincidences shows, these mathematical harmonies lie deep, deep in the finely tuned maths of the planetary orbits in our solar system. Ah, the pesky barycentre again. Anthony, that book would blow your mind… and everyone here too. Grissino-Mayer developed a 500-year chronology, from 1500 to the present, for 16 high-elevation forests of larch, spruce and pine in five countries from western France to southern Germany. He discovered an unprecedented period of slow growth from 1625-1720 characterized by compact, narrow tree rings. Grissino-Mayer is a renowned dendrochronologist. It’s curious to me that his chronology “proves” not only the existence of the Maunder, but its “unprecedented” coldness. I don’t want to argue too much with him on this point. As for whether a Strad delivers a warmer sound, I’d like to hear an objective judge… I figured I was getting a nice “warm” sound on my saxophone as long as the reed wasn’t split, and I wasn’t squeaking too badly. Once upon a time… I was a high school student and there was some famous violinist giving a concert in a nearby large city. It was sold out at some outrageous price like $25 / seat minimum (this was when gasoline was 25 cents a gallon and bread was about 35 cents a loaf and cars were about $2k so figure that would be about $250 / seat in todays rubber ruler money). Sadly, I don’t remember his name. All I can say is he was top world class and he played a Stradivarius. To say the performance was impressive would be a great understatement. I have never heard anything like it, before or since. At one moment during a “sad” phase of the music I was astounded to see a few tears sneaking from the eyes of Mr. McGuire who was completely captivated by the music. Here was a normally very gruff Lt. Colonel lost to the emotion of the music. During a break between sets, the performer took a moment to talk about the violin. He stated that the secret to the Stradivarius was the varnish. That under no circumstances should they ever be stripped and refinished, since any that had been refinished were never the same quality. At most, a very thin touch up coat, no more. They would be fine violins, but no longer sound like a Stradivarius, if the original varnish were totally lost. Now I don’t know his source for information, but I have to believe that if someone has a passion for violins and owns a Stradivarius, they will likely know how to keep it in good working order. We also have folks from the same time period, making violins from the same age wood, that are good, but not a Stradivarius. The trees / wood density theory does add some sound quality (that era does make better violins) but is not enough on its own. (And one can always just go up slope to get colder trees…). No, the cold is not enough to explain. So my conclusions is that fine old trees (already a rare category with much old growth forest cut down – not global warming induced…) from a cold era or from a colder part of the mountain will give better wood. There is evidence that these trees were floated down to where they were used and left soaking in salt water for days, months or maybe even years and that his may have also enhanced the wood (so an investigation of salt soaking effects is worth it). Then you take this fine sounding wood and give it to a master craftsman and you get the fine violins made by many of the makers of that era and that area of Italy. But what makes the fine into the exquisite? So the most likely place left to look for a way to explain the Stradivarius is the varnish. We can see the structure and workmanship and similar quality in other violins with similar wood… but different varnish. So what’s in that varnish? Crush gems has been given as an explanation. This hardens the varnish and that does change the tone somewhat. Violins do need to age to achieve a superior sound but they also have to be built well to start with. Using modern tuning techniques a very very good violin can be built today and artificially aged to get the 40 or so years of aging required in a few months but they still cost a lot of money, 10s of thousands of dollars. I think all the Strads and other similar era violins have been rebuilt over the years to add modern necks which increase the sound volume of the instruments and make them more suitable for soloists. You also need to consider of all the violins made it is mostly the good ones that have survived the centuries. What’s a carbon footprint anyway? What can you do to make yours smaller, help the planet, and save $ in the process? 76 Salem End Road, Framingham. Children are welcome and can participate in the presentation and discussion or make earth art and learn how to be energy detectives. Light refreshments, coffee, tea, and juice will be provided. The Climate Project consists of 2,500 dedicated volunteers from throughout the United States, Australia, Canada, India, Spain, and the UK, all personally trained by Al Gore to educate the public about climate change. TCP presenters have reached a combined 4 million people worldwide. Our hope is that by raising the awareness of our fellow citizens about this crisis and informing them about potential solutions, all of us, together, can preserve the climate balance on which humanity and our planet depend. Is the battle already lost? The Alarmists are busy indoctrinating the young. What are the Realists doing? I worked at a music school and would occasionally drop by a neighborhood bar after work. Most of them there knew me and what I did, and this one time the bartender greeted me and asked me ” how is business?”. I answered “I broke my G-String today” and a stranger at the bar spit out his drink and swung around on his stool to stare. We all had a good laugh. But it was true. I played viola and the string had popped in the middle of a rehearsal earlier that day. What are the Realists doing? I can’t speak for other realists. I work in the oil business – so I am an evil villain not even worthy of existence compared the saintly Ms. Choi. I lost a coworker when his head was cut off by radical fundamentalists. I also jumped from a burning offshore rig in West Africa that went down in a huge fire (five contractors died). I got Malaria three times. I narrowly missed death again when a piece of pipe narrowly missed impaling me, having fallen 100 feet. I have also been threatened at gun point. It ain’t easy to bring home the bacon (sorry that should read “exploit other people” according to the liberals) so that the likes of Ms. Choi can live their pampered lives in cosy academia and grow up (trained from the age of 3) to be a virtuoso. That is what the realists are doing…they work damn hard so that others can spend their lives doing government funded research or devote their lives to learning to play beautiful music or attending political rallies to save the world. Well, I’ll call Grissino-Mayer on this point. The tree-ring realities are full of surprises, many of which have been elucidated at Climate-Audit. For example, the relationship between growth rate and temperature is an upside down “U” shaped quadratic (maximum growth at an optimum temperature. Another one which has not been explained there yet (AFAIK) is that density of softwoods ALSO shows a U-shaped function; after a certain point, narrower growth rings no longer mean higher density. Grissino must not know as much as he thinks he does, LOL. Get serious people. This is a crock and you all know it. Even you loonies that practice the religion of Global Warming. If you were serious, some guy would be making violins in an igloo in the artic while he watches the growing population of Polar Bears drown. I re-read your post, and I made some hasty, rash judgements. I think my facts are correct, but the very things I mentioned could possibly explain a unique nature of the wood in the Strat. violins. They could have a very unique density due to that extremely slow growth rate. Not necessarily a higher density, but a unique one. Very intriguing. Adds to the speculation, maybe. Sorry for blurting out like that. I can’t speak for other realists. I work in the oil business – so I am an evil villain not even worthy of existence compared the saintly Ms. Choi. . .
. . . That is what the realists are doing…they work damn hard so that others can spend their lives doing government funded research or devote their lives to learning to play beautiful music or attending political rallies to save the world. And that is a great answer! Thanks for all that you do, and the risks that you take. But it worries me that the Goracle is training legions of propagandists to proselytize and convert the young and naive. The President of the Czech Republic likens this ‘Green’ movement to the Stalinists who oppressed his country for decades. It isn’t just about climate, any more. It’s about control, and brainwashing the young is the first step. And it’s because of global warming that nobody knows how to make authentic Damascus steel swords anymore….. I read many years ago an article published in National Geographic (so it must be true?) that the sound characteristic of Stradivari violins were caused by tree logs being sent downriver from the forests, in a long journey. The time spent in the water diluted the calcium carbonate inside the wood fibers leaving hollow streaks that gave the violins their remarkable sound. The forests where the wood was taken was rich in calcium carbonate and was taken by the trees. I have seen in Bolivia wood (Bolivian oak) whose calcium carbonate was washed out by a similar process. It is a very light wood (almost as balsa wood) and make very decorative wall paneling. Another story that I find more plausible. Has it never occurred to Eugenia Choi that it might be the violinists and not the violins that are responsible for the diminished quality of sound coming from new violins? Or that new violins have not had four hundred years to “break in” and achieve a sound that can only come from antiquity? That the sound of new violins is not necessarily inferior to old violins but merely different due to methods of construction and materials? Appraising the sound of a violin is a very subjective endeavor. Martin guitars built in the 1930s have a similar attraction to collectors and musicians as do Stradivarius violins, but most everyone agrees that we are now in a golden age of guitar making in which certain luthiers are making guitars that sound better and are better built than ever before. Is there no end to the problems or anomalies that can be attributed to global warming? oo weird, I was just thinking AGW was doing this. I just bought a new violin( a cheap one) and broke a string tuning it.. I’ve played guitar(38 years), for most of my life and rarely if EVER have broken a string tuning, so it’s a sure thing it’s catastrophic global warming making them sound bad. Oh and I’ve never played, tuned, or picked up a violin before this one .. So it has to be true …..CUZ I SOUND LIKE CRAP! “Here’s a little off-topic story which is also on-topic. In the South Pacific we have men that sail between islands in their little boats without a single piece of navigational equipment. They sail for days and nights and arrive at their destinations without fail, which are tiny, isolated small islands and atolls surrounded by hundreds of miles of open sea. It is said that they can feel the currents in their testicles and steer according to clues so subtle as to be invisible to most mortals. With apologies to Eugenia Choi, is it possible that the scientists who are cocksure (ahem) that global warming is going to roast us all to bloody hell are feeling it in their testicles? Yes Lance. Agreed…. on the “remarkable” factor. The Maunder Minimum produced some incredible minds (i.e. JS Bach and others). Obviously, as cruel as Mother Nature can be….she causes organisms to work harder to survive and justify themselves as a species. Not a bad thing given the current trend of humanity. Perhaps some basics about tree growth would aid in understanding. Trees grow in girth by adding a new layer of wood each year between the old wood and the bark (at the cambium). In effect, a conical sheathe of new wood is added each year (in temperate and boreal regions). In cross-section the sheathes are seen as annual rings (tropical trees grow all year and so do not have annual rings). If volume growth was constant, the rings would diminish in width with distance from the pith because each successive sheathe covers a greater surface area. But volume growth is not constant. Tree growth (whether height, volume, or diameter) generally follows sigmoid (S-shaped) growth patterns. Growth rate (the 1st derivative) peaks at relatively young ages (20-50 years in long-lived species such as Douglas-fir). Hence in an open grown tree (no competition) ring width naturally diminishes with age, especially after peak growth ages. Most trees are not open grown, however, and are subjected to competition from adjacent trees. Stand grown trees exhibit diminishing ring widths even earlier in their life spans. Competition can change as trees in stands die (from various mortality factors) in a process called “stem exclusion.” Individual trees can be “released” from competition if the neighboring trees die. Individual tree can also be stressed by various factors and grow poorly for several seasons. Hence trees may exhibit narrowing and widening rings at different periods in their growth. Those deviations from smoothly diminishing ring width may have (usually have) nothing to do with climate. Instead beetle attack, fungal attack, top breakage from ice or wind, soil development or degradation, and the fate of neighboring trees are more likely to affect ring growth in individual trees. For those reasons climate proxy trees are carefully selected. Only trees that appear to have been open grown for their entire lives are chosen (perhaps 1 in a thousand). Of course, it is nearly impossible to tell what the competitive environment of an individual tree might have been hundreds of years ago. A great many assumptions accompany climate proxy tree selection. In addition, the natural diminishing of ring width that occurs with distance from the pith must also be dealt with, generally via theoretical mathematical models with little or no empirical validation. Validation is fraught with uncertainty because ring sequences in individual trees deviate (vary) significantly from smooth curves. All of which makes tree rings very poor proxies for temperature. Dendrochronology is useful for detection of landscape fire events that leave a distinct scar on trees. Everything else inferred, such as extended droughts, extended rainy periods, and especially minute variations in average temperatures, are big stretches of the imagination. The deeper one gets into tree ring “science,” the more it looks like alchemy. Steve McIntire of Climate Audit has (soundly) questioned the statistics of tree ring proxies, but his expertise does not include forest biometrics. Mine does. Trust me; generalizations about climate effects on tree rings are giant leaps of (groundless) speculation. Has anyone ever done a double blind listening test with modern and old violins? Great post. Thank you for saying and doing it all. From my end, it was finding stories that made Karen Silkwood look tame. For the sake of my daughter and family I didn’t want threatened, I kept silent. But now she hardly wants to know me, so I’m free; and as I grow older I’ve less to lose by speaking up. I want to go knowing I’ve done what I can to make this world a better place. Top of my wish list is finding the best means to enable the real truth to come out. Official Climate Science is in a ropy state but it’s not the only serious issue either. But it seems like ground where I can develop my strengths and find many of my real family – and have outrageous fun too. I’m not going to crack singlehanded all the challenges of getting a skeptics wiki going, that can become the default point of reference. But I’m working on it, sure that it will come in time, because I’m sure we need it. If Carlos Santana walked into a music store shop and picked up any model of guitar, I betcha the music he made with it would unmistakeably sound like Carlos Santana. Shortage of Wood. I once worked in an equatorial country that has (had) huge resources of tropical rain forest trees. Back in the seventies, due to an international logging moratorium, this country was no longer able to export raw logs of Mahogany, Teak, Meranti or any other valuable wood asset. They were allowed to export it if the wood had been through some manufacture process. So what was the manufacturing process…….. Plywood. Exported and used for packing car parts. Combating climate change may not be a question of who will carry the burden but could instead be a rush for the benefits, according to new economic modeling presented at “Climate Change: Global Risks, Challenges & Decisions” hosted by the University of Copenhagen. Contrary to current cost models for lowering greenhouse gas emissions and fighting climate change, a group of researchers from the University of Cambridge conclude that even very stringent reductions of can create a macroeconomic benefit, if governments go about it the right way. “Where many current calculations get it wrong is in the assumption that more stringent measures will necessarily raise the overall cost, especially when there is substantial unemployment and underuse of capacity as there is today”, explains Terry Barker, Director of Cambridge Centre for Climate Change Mitigation Research (4CMR), Department of Land Economy, University of Cambridge and a member of the Scientific Steering Committee of the Congress. Nah! He’s confusing it with passive smoking. I’m sorry but this is just bunk. There’s plenty of great wood to make guitars, especially domestic species like walnut, maple, cherry, etc. There are many great guitars being built today that exceed the quality of instruments from the 50s and 60s (e.g. PRS). And there’s also no immediate shortage of Alder, Mahogany, Rosewood (Indian), etc., though some imported woods may see restrictions or bans in the near future. Frank K is right. I have worked with a number of producers of traditional handcrafted wood products. Some of these companies such as James Purdey go back to the 1700s. I am not aware of any drop in quality of wood or in the manufacturing process. If anything, they are now able to source better wood than they could 300 years ago because of modern communication and travel. The way I see it, propagating a mystery around the Stradivarius goes hand in hand with publicizing the brand’s prestige status and thus propping up their prices at auction. Nothing more. Shut up and play, Eugenia. I salute you and everyone like you – well said. Fascinating … to read all the comments, and see how people think about such a topic as GW, violins, trees and dendrochronology. By way of analogy, we’ve lived in our house for 20 years. One cupboard is of course the “glass and cup” cubby. We keep buying glasses to replace the broken one. The whole cupboard is now full of Darwin’s Fittest. Not a single glass matches, alas. But the ones that are in there, are nearly indestructable. It could, should and I would argue, must be the same for violins, guitars and all music instruments. The greatest ones generally survive the longest. Toss an OK, somewhat beaten up, regular violin in a box of other stuff that no one wants to throw away, and it will sit there, slowly getting abraded by the additions and occasional removals of ‘stuff’. Strings will break, parts lost. At some point, after 20, 30 or more movings around, it will be nearly worthless – or at least worthless in its present condition. If “restored” (if the name is famous enough, warranting the very expensive deconstruction and reconstruction – and ONLY then), it can be brought back to a thing of relative beauty. So, Darwin’s theory of Glassware and Musical Instruments (as I hereby dub it) applies. The renowned violins statistically are more likely to survive long past when the ordinary instruments succumb to becoming kindling to Old Uncle’s funeral pyre. And yes – I’m saying they’re “better” to be sure – but also that they’re protected, cared for, shown, hidden, played, and well checked for impending problems. They should and probably will last millenia. Now, as to whether new instruments can be made that sound on par? Well, of course they can, and do. In a Scientific American article about 10 years ago, the physicists authors abstracted the tone-board characteristics to the degree where they were able to make a plexiglass, balsa, plywood and styrofoam “violin” (that didn’t have a shape remotely like a violin), that when played by a virtuoso violinist, sounded better in a double-blind test than the University’s showcase Strad, three Amatis, a new French violin, and a handful of other well regarded units. The listeners were all professional conductors and violinists. The moral of the story is clear: Science does know what makes a violin sound “good” and “great”, all the poppycock above about “not knowing” notwithstanding. It knows and can model mathematically the component features, then predict with high confidence the outcome. The plexiglass-and-balsa-and-styrofoam violin was only the “third try”. That is pretty impressive in its own right. In any case – about the GW side of things – let’s just get back to basics. GW and GC and GNuthing exists at various stages. One needs look no further than any of the daft comments from “the professionals” along the lines of “it hasn’t been this warm in over 450 years”. Well … doesn’t that imply that it WAS this warm over 450 years ago too? Of course it does. GW my foot. 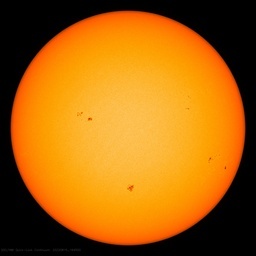 Climate variability is a natural part of this chaotic planet’s response to still mysterious space-weather effects, solar cycle forcing, and who knows what-all else. Yah, if CO2 were really part of the picture to the degree that the radicals would like us to believe, then we’d already be cooking in a 40C stew – midwinter. Not so. There are a lot of checks and balances in the heating / cooling equation. And time-constants measured from centuries to eons with the great oceans of the planet working their magic. Thank you for all you do and did. You are not alone. What about the pernambuco trees? 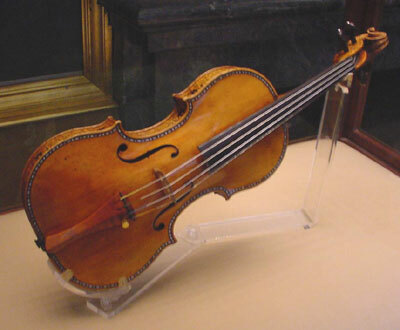 It has long been my understanding that Stradivarius and other instruments made around that time sound different due to the wood density arising from the cooler period of the Little Ice Age, causing slower growth. It makes a degree of empirical sense at least. Of course, where the article gets it wrong is in the conclusion. The sound reproduction isn’t not replicable now due to global warming, but rather was only possible in the first place due to a cooling period, the LIA. Its not quite “is the glass half full or empty”, but recognition that the cooler climate made the sound possible. What will be interesting is, if the “Modern Little Ice Age”, which may be starting right now (you heard the name here first folks!) kicks in for the next few hundred years, the short-term warming phenomena of the 20th century may be responsible for its own unique sound due to the less dense wood of its instruments. Will people in the future lament their inability to replicate the guitar breaks of Jimmy Hendrix or Carlos Santana? And if so, will it be due to the density of guitars of the future, or the fact that Global Warmers have shut down the power industry and electric guitars of the 22nd century will work on clockwork mechanisms?